“Seattle has been about human intervention in the natural landscape, setting heavy engineering in a bucolic setting,” said John Owen, partner with Makers architecture and urban design, during a tour organized by the American Planning Association (APA) for their conference in this northwest city. 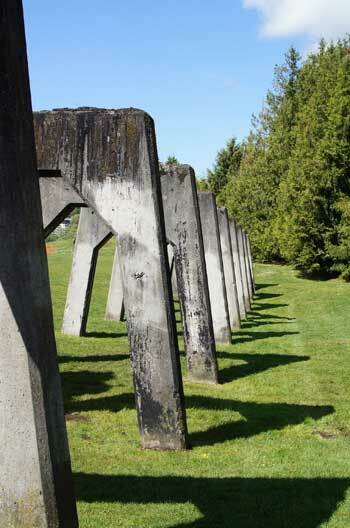 In the first of a series of posts about how Seattle layers nature and infrastructure, we’ll look at a few examples of this from Seattle’s history — from the early Olmstedian park system to the Hiram. 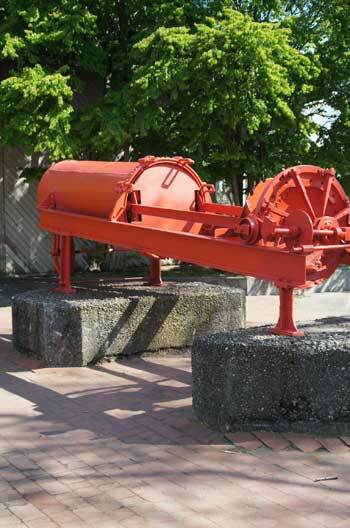 M. Chittenden Locks, and, more recently, the Gas Works Park. Owen said Seattle’s Olmsted Brothers-designed park system is one of the “most well-preserved in the world.” According to the Seattle parks and recreation department, the city commissioned the landscape architects the Olmsted Brothers, sons of Frederick Law Olmsted, to create a comprehensive plan to link green spaces, playgrounds, and vistas through a 20-mile green boulevard. 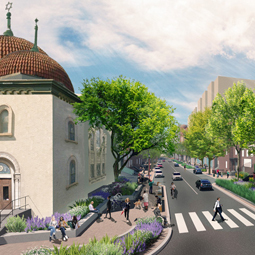 The Olmsted brothers continued their work on the plan, designing and implementing pieces, through the 1930s. 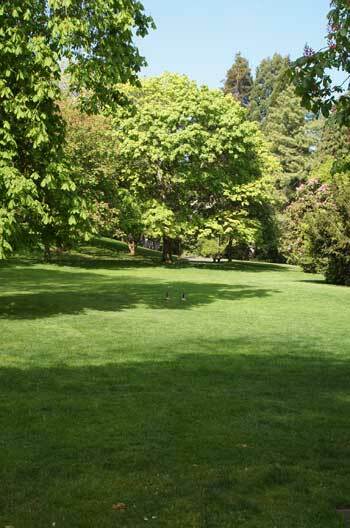 We arrive at Volunteer Park, one of the jewels in the Olmsted system. 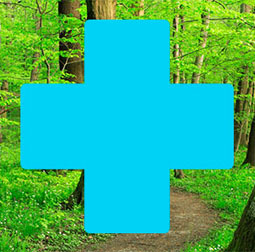 There, Owen showed us how nature and infrastructure were first integrated to such great effect. 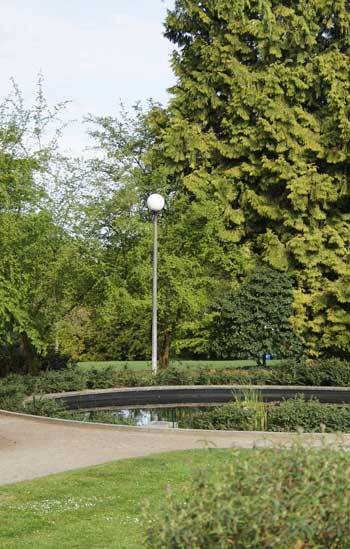 The park’s meandering paths, towering trees, and lush gardens provide not only a frame for the views, but also the charismatic water management infrastructure — a water tower and high-pressure reservoir. 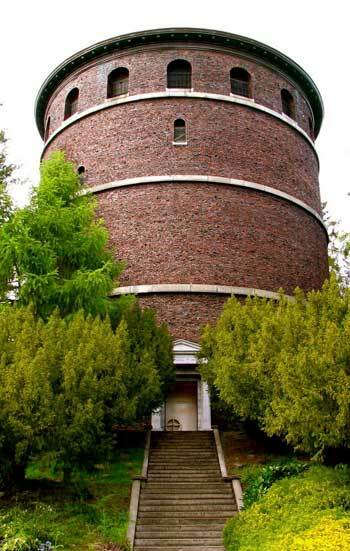 As Lyle Bicknell, principal urban designer, Seattle department of planning and development, explained, “It was Olmstedian to make infrastructure beautiful.” The reservoir no longer serves its original purpose, but the water tower still does. 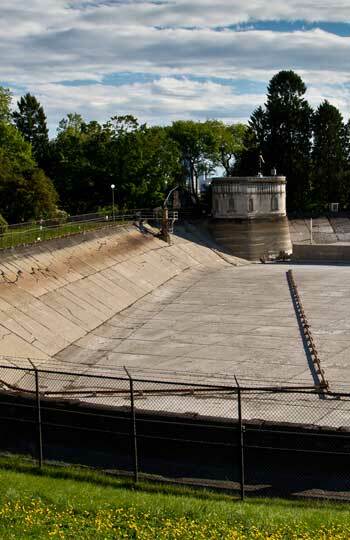 Some have even floated the idea of turning the empty reservoir into a skatepark, which would be fantastic. 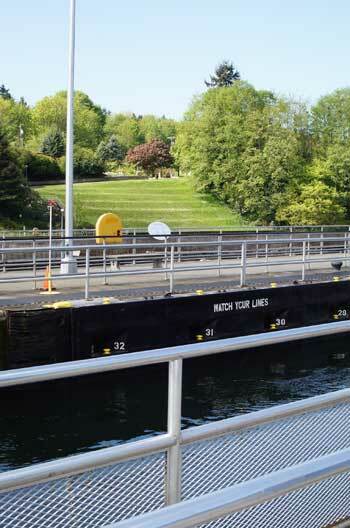 A later visit to the Hiram M. Chittenden Locks (known locally as the Ballard Locks) made clear that Seattle continued to invest in civic infrastructure. 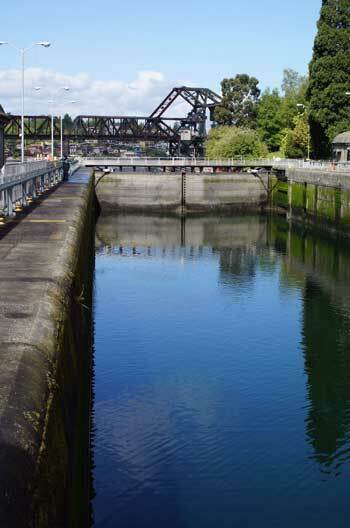 Construction began on this complex system for moving ships from Lake Washington and Lake Union to the Puget Sound in 1911, and the first ships passed through in 1916. 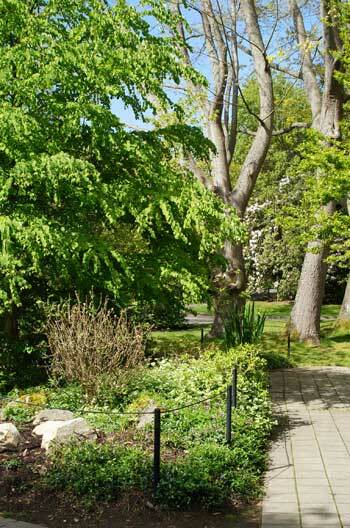 To get to the locks, a visitor walks through 7 acres of gorgeous gardens designed by U.S. 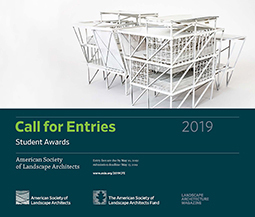 Corps of Engineers landscape architect Carl S. English Jr., who spent more than 40 years planting the gardens with more than 500 species and 1,500 varieties of plants from around the world. The combination of gardens and heavy ship infrastructure is somehow seamless, and feels futuristic, despite the fact that it’s nearly 100 years old. The lock keepers I spoke to exhibited great pride in the infrastructure, which runs 24 x 7, 365 days a year. 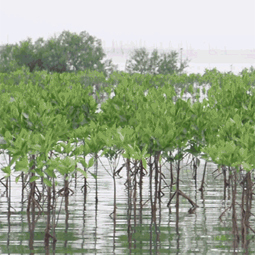 Boats come in and out all day and night, as valves raise and lower water levels, keeping fresh and sea water separate. 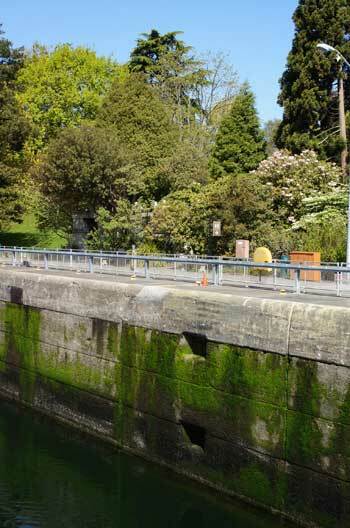 A legacy of the City Beautiful movement, the locks are a prime example of how nature and the built environment can complement each other in a timeless way. 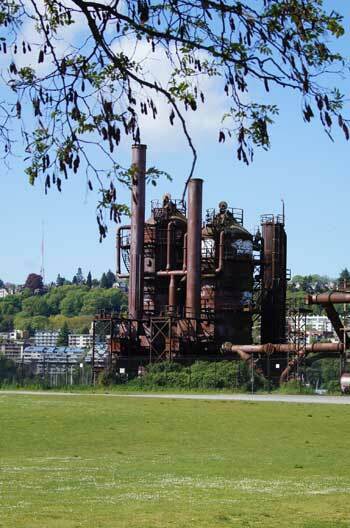 Lastly, a visit to Gas Works Park capped the journey. 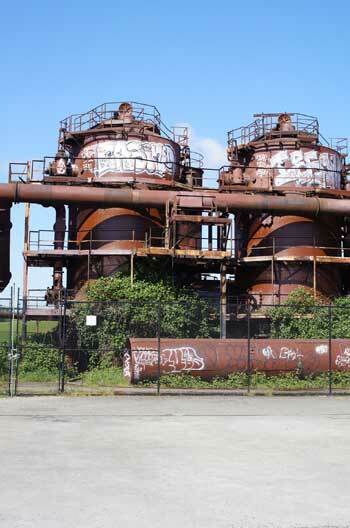 The Seattle parks department explains how this site on Lake Union was cleared in the early 1900s to make way for a plant to process gas from coal, which then ran for nearly 50 years, spewing chemicals into the air and lake. 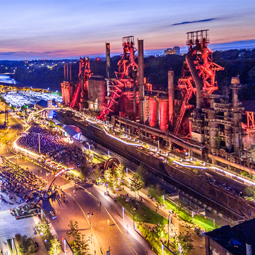 When natural gas began to be imported in large amounts in the 1950s, the plant became obsolete, so the site was acquired to become a park by the city in the early 1960s. Haag made the visitor’s approach to the industrial infrastructure a fascinating exploration, with a winding entry way that parallels a series of concrete gates. 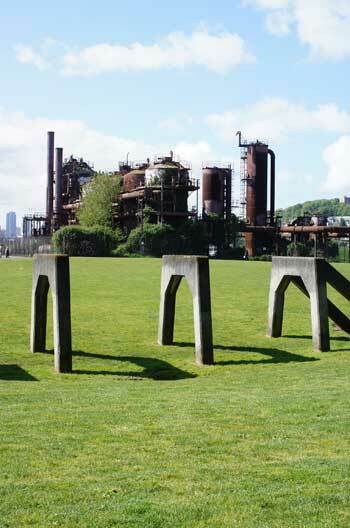 The path invites you to circle the old Gas Works, taking it in from all angles. As you get closer to the intricate and intriguing central relic, you realize it’s fenced off to prevent people from climbing on it and perhaps further covering it in graffiti. Within the fences, nature has once again taken root. 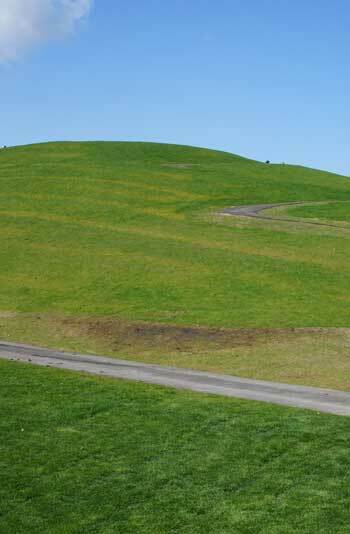 You can then walk to the top of Kite Hill, a giant mound of earth that Haag constructed behind the park with rubble and also topped with a sundial. 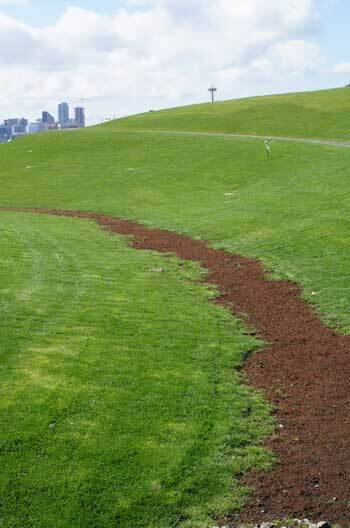 Kite Hill is currently being covered with an additional layer of soil and grass to prevent re-contamination by environmental remediation work being done along the Lake Union waterfront. 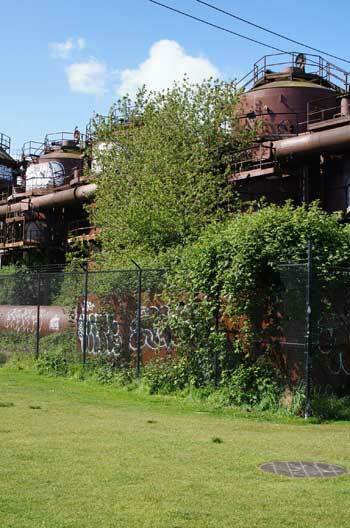 The path leads to picnic tables along the waterfront, and a “play barn,” where the old refinery infrastructure has been turned into a mecca for kids. This area was somewhat down on its heels, as it’s clearly been well-visited and loved for decades but needs some maintenance. 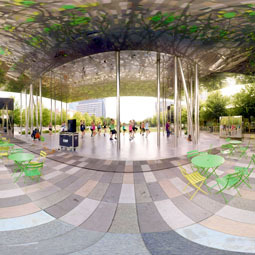 And in The New York Times, Paul Goldberger wrote, “The park represents a complete reversal from a period when industrial monuments were regarded, even by preservationists, as ugly intrusions on the landscape, to a time when such structures as the gas works are recognized for their potential ability to enhance the urban experience.” Indeed, in 2013, the park was finally added to the National Register of Historic Places. 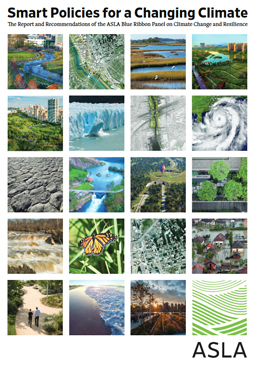 Seattle has found novel ways to re-balance the relationship between built and natural infrastructure. 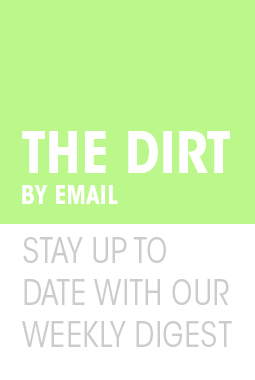 And with projects like the Seattle Art Museum Olympic Sculpture Park, it continues to lead the way towards a more sustainable relationship between the two.